Hello you beautiful people. I really appreciate you coming to this obscenely early speech; my name is Rhiannon Giddens and I am very appreciative of the Americana Music Association UK taking a chance on me; I personally would have gone with my friends the Milk Carton Kids, but I will endeavor to do what I do best instead, which is to be earnest, nerdy, and unfortunately not particularly very funny for the next thirty minutes. So recently, I had a little immigration problem. You may or may not know that I have strong ties to Ireland, in the guise of two beautiful Irish-Gaelic speaking children and their father, who is now like another brother and is one of the best men I’ve ever known; his family welcomed me with open arms that never closed, even as the nature of our relationship changed and we brought the rather American notion of conscious uncoupling all the way to Limerick. I know how to drive on the other side of the road, I can park in an Irish parking deck, Father Ted gets funnier every year, and I HAVE A DECIDED OPINION ABOUT TEA BRANDS. (it’s only Barry’s for me, by the way - if I have to go English, give me Twinings). But there was a small wrinkle in this Irish utopia- Basically, in the midst of a separation, full trans-atlantic touring life, deadlines for big creative projects looming, such as this speech, parenting two energetic children, and becoming horrified at how much Irish car insurance costs, I missed a step for my residency application; a lot of confusion, misinformation, continued work trips, and stress later, I suddenly faced the knowledge that the next time i left Ireland for work, they wouldn’t let me back in until there was a decision on my residency application (which took two months, much swearing, much paperwork, three different sets of passport photos, and a dance on the night of a full moon to finish). And suddenly, my meticulously organized life was thrown into complete disarray; no knowledge of the next time I would see my children - when I’m away for work, I’m away for work with the knowledge that I will return - but an undetermined exile? Totally different feeling. The constant strain I felt for those weeks where the outcome was uncertain, even if the probability was high that it would ultimately be positive, was heavy and intense. I couldn’t sleep; I couldn’t plan my life, a huge problem for a touring musician, I cried at unexpected moments; I missed my children; I missed my house...I missed the sound of my daughter playing tin whistle. Yes - I have a daughter who speaks Irish and plays the tin whistle...and i was tormented with the memory of my sobbing six-year-old as I left for what could have been a long time. And it gave me this incredible, visceral empathy for folks in situations much worse than mine. I have the money to hire lawyers; I have the resources to change my flights; the father of my children is an Irish citizen and can be with the kids while I am gone... the list goes on and on. The overall time that I was in this fix was relatively short - I’ve come out the other side a whole lot wiser about the process and more respectful of bureaucracy, let me tell you - but it has left me thinking of all those folks in similar boat - and many without my privileges of time and money. People who are looking for a better life. People who fall in love on a year abroad and then want to figure out how to make a life with their beloved. People who want to live with the rest of their family, who have already gone before. People who are seeking asylum from unspeakable atrocities. People wanting different choices for their children than they were given. People who just fall in love with a country like their soul has found a home. People doing what humans have done for eons - move from one place to another. And so what does all this have to do with Americana? Well I don’t really know, even now, what exactly Americana is - but with American music? Well I would hope we all know the answer - it doesn’t exist without immigrants; without migration, forced or unforced, thousands of years ago or hundreds of years ago, from so many lands across the sea. American music in all of its different forms is a creolization of musical modes, rhythms, instruments and singing from many disparate parts of the world. But the crucible that was and is American culture does not exist in a vacuum. American music is rather a continuation of the vast picture of human movement that has been going on since folks started exploring the land beyond the great mother continent of Africa. Nobody owns an instrument. No culture gets to put the lockdown on anything - Say the word ‘bagpipes’ and if you are anything like the me of a few years ago it conjures up the image of a kilted Highlander and the land of moors and heather - but now I know it should also bring to mind an old man in a doorway in Sicily; the smartly uniformed military band in Iraq; or a modern young woman from Galicia - as the bagpipe was and is a pretty widespread instrument, used for trance dance, military music, intimate ballads, dance tunes, and occasionally entertaining the tourists on Princes street. Or how about the Bodhrán from my adopted land, Ireland? Common lore has it that is has accompanied Irish dance music for centuries, when in reality that’s a far more recent phenomenon. The bodhrán is merely one of a whole group of frame drums of which many, many cultures from Morocco to China have a version; and the particular one associated with Ireland itself, and the way it’s been played in recent years, is very likely descended from the Italian jingled frame drum called the tamburello, which is also a good candidate for the parent of the American tambourine, after a change in grip and a lot of African influence. And the way its played comes to Ireland from Italy through the England military tambourines. Or maybe it came from the States back to Ireland. Or maybe from the Caribbean! It gets complicated real quick. These instruments and all the others that we think of in modern music - the guitar, the banjo, bagpipes, violins, the list goes on, have been in constant movement and constant change, since the time of the Ancient world. Each one has its own family tree that can sometimes be surprising. For example, as scholars look all the way back to the civilization of Mesopotamia (where modern day Iraq is now), they not only describe the dawn of the agricultural age, but also find the birth of instrumental music as we think of it. The harps, lyres, lutes, and pipes of Mesopotamia spread into Egypt, and later into Greece, and, mainly through the Greek influence, to Rome. Via the Roman empire they then made their way into northern Europe. From Egypt the same instruments spread south and westward into black Africa, where some of them survive to this day: the lyre family in East Africa, and the lute, in something like its original form, in the more northerly parts of West Africa. Now I know full well I’m oversimplifying things a bit here - but when you dig into the history, a dizzying array of instruments grows; and a stupefying amount of back and forth all over the world. Waves of conquest; mass migrations; extremely complicated political situations and weather systems impacting the attendant crop failures or abundance that have huge effects on human settlements -- they all form an ever shifting backdrop to how the music travels. It’s not always (or ever) easy to trace these things; sometimes it’s obvious that a group of people goes from point a to point b and brings a style of music with them; sometimes it’s one person who moves to a different area and inspires everyone there to do what they do; sometimes it’s a back and forth exchange over centuries, that edge rubbing each side a little bit more every year; sometimes it’s aristocratic, highly stylized artform that affects vernacular music, or vice versa. And you don’t always know which way it went first! It’s affected by taste, by religion, by economics, by conquest, by carnage; but the bottom line is this - music is where we come together. But it seems to me the biggest divisions in music happen when they are imposed for some non-musical reason - like capitalism or nationalism. Or both! Which brings us to the banjo - if you know anything about me, you knew the banjo was going to figure in this somewhere! The banjo, at the heart of a lot of Americana and at the heart of American culture, represents perfectly everything I’ve talked about today already. Some of you may know this history already - but you’ll have to forgive me for going over it anyway, I find you can never talk too much about where the banjo comes from, for reasons I’ll get to later. Those lute instruments from Mesopotamia which found a home in Africa multiplied and diversified and by the time of the trans- Atlantic slave trade, were numerous and well entrenched in many different areas of regional life on the continent, particularly West Africa. Some of these lute instruments, hand-made with bamboo, gourd, animal skin and guts, made their way to what was usually the first port of call in slave-owning Americas - the Caribbean. Even when the instrument itself wasn’t present, the memory and the knowledge were, and it didn’t take long for enslaved Africans to begin fashioning their own instruments in the “New World”. We often forget that there was no homogeneous ‘slave’- there were many folks from many different parts of what is, after all, an immensely vast continent, who spoke different languages, followed different religions, and had different social mores, all just thrown together. Music, however, then as now, connects us all; particularly in a situation that is traumatic for all involved. Over time, beginning in the 1600s, the development of something called the ‘banza’, the ‘banjer’, and eventually the ‘banjo’ came to be known and travelled up to the United States, where it became an absolute emblem of the enslaved musician. It was only in the 1830s and 40s that whites first took the instrument up, and played on it in a way that was directly learned or influenced by the black players that had preceded them - mostly ‘knocking’ or what we call now ‘clawhammer’, which goes back to West African techniques of lute playing. I remember when I went to the Gambia to study the Akonting, one such of these banjo ancestors, and I was struck intensely by two things - one, that the right hand technique of what I learned as ‘clawhammer’ was exactly what my teachers were playing, just on fewer strings and a handmade instrument, and lord, in a language and tuning system that did my head in. The other was that i was freely called ‘toubab’ over there by the locals - I remember getting bewildered, as toubab means white person. Its all relative, I guess. During the eighteenth and nineteenth centuries black fiddlers could be found throughout America, and these musicians routinely provided the music for dancing at social functions. White fiddlers certainly played for family and friends at private gatherings, and white musicians performed in formal concerts, but the musicians who played for dance assemblies and balls, especially formal ones, were nonwhite more often than not. The role of a dance musician was that of a servant, and as was the case with hotel work, cooking and serving food, shining shoes, and cutting hair, in America this work was typically done by blacks. This was true in the North as well as in the South. So you have black string bands, eventually mixed bands in some places, working class whites learning from blacks and vice versa, and the gradual creation of a common tune repertoire and language. The banjo was also integral to the nascent music industry, in the form of blackface minstrelsy. Sorry guys, you can’t talk about the roots of American music for 30 minutes and not mention minstrelsy, however much y’all might want to forget that the Black And White Minstrel Show aired on TV here in England until the 1970s. But what happens usually when we talk about minstrelsy is we get stoppered up on the black face - and it is understandable, as anyone who has seen the Sinterklaas celebrations in Holland can attest - the grotesquery of the red lips, rolling eyes and burnt cork covered skin is hard to take in this day and age. But it’s important not to lose sight of the music, and what the first minstrel bands really were - world music, performed by largely working class musicians, in a form that was wildly popular with the American public. ...blackface becomes, not a phenomenon “invented” and achieving quick popularity, seemingly by chance, in 1830s-40s New York City - not, in other words, the spontaneous beginning of something new - but rather a coalescing and commodification of idioms that were already familiar to audiences from the streets and wharves outside the theater doors. This helps to explain the idiom’s nearly-instantaneous vogue with working-class audiences, and the speed at which it was adopted and disseminated as one of the first American pop music crazes. The music and dance of early minstrelsy was born in the ‘edge’ - in the beginning it was a record of the constant rubbing of cultures along the ocean wharves, the riverboats, and neighborhoods of tenements in the city; between the working class and the middle class ‘slumming it’ in taverns dance halls and small theatres; between ethnic groups like African Americans and newly arrived Irish all living and working together cheek by jowl not only in New York, but in many parts of the Caribbean, too. The music born of this is one of the main centers of so much American music that follows, and the way it was performed, shuffling and offensive, is an indelible part of our cultural character too, cropping up in places you least expect it, like Bugs Bunny cartoons and the origins of Mickey Mouse. So this, then, was the first American cultural export - and it stormed the English speaking world. The first rock and roll band, a hundred years before rock n roll, was the Virginia Minstrels, a band made up of black-face characters playing banjo, fiddle, tambo, or tambourine, and bones. And it lasted a long time too- one of the very first moving pictures, if not the first, taken here in London, at the turn of the century, is a short film of a black face troupe performing on the street for onlookers; and the last time black face was on film, as we already know, was in the 70s. It was our first real commercial music, with songbooks and concert tours, and a acknowledged American character birthed by the gathering of so many different people; and it set the stage for much to follow. So just as the banjo isn’t purely African, neither is minstrelsy only whites in blackface mocking blacks. Things are complicated. The problem with all this history is that you have to fight through some pretty tough layers of gauze to get to it. Here, again, the banjo is an excellent example. In 1850, the banjo was the utter emblem of the plantation ‘slave’; merely one hundred years later the banjo is known by everyone to be a white ‘hillbilly’ instrument and the very thought of blacks playing the banjo is preposterous. I have had people tell me the banjo was invented by white people in the Appalachian mountains more times than i care to count - and then there was that one time this drunk guy at a Carolina Chocolate Drops gig in Holland told me quite seriously it was invented in Scotland. And I used to wonder - and people used to ask me - how did it happen? Why did blacks abandon the banjo? And it turns out it just didn’t ‘happen’. There was no turning point when vast legions of black people at one bent over, put the banjo on the ground, and walked away, never to return. There was a gradual shifting of musical taste during a massive migration of black folk from south to north, there was a changing of the functionality of the banjo, and the adoption of the guitar - but what did the most damage in terms of legacy and awareness was the idea of a White Nationalist Culture that was deliberately put forth in a response to the rise of blues and jazz in the 20s. We forget quickly, when we are encouraged to; when people like Henry Ford (you know, the guy who automated the first factory car - revolutionizing not only car ownership but the factory system- a hero of American ingenuity, and it turns out, racist and xenophobic too!) want to invent a mythical pure white cultural past, they start doing things like hosting fiddle competitions and forbidding blacks to enter, seemingly ignoring the irony that they wouldn’t need to do that if blacks didn’t already play the fiddle. We forget when people like Ralph Peer get their hands on what was a common Southern music that whites and blacks both listened to, (even as black folk were starting to go crazy for that new phenomenon blues) and call it Hillbilly music, purely for marketing reasons...The years pass and we forget how close it all was. How close we all were. How country and blues and jazz and old time were words and the music all lived together, even as we sometimes could not. Hey, this happens elsewhere too - for example, even now, people don’t seem to like to talk much about the massive affect Arabic music and culture had on Africa and Europe, and by extension, America. Did you know that 1 in 5 of all enslaved Africans brought to the new world were Muslim? Why do we talk about the Roman empire and not the Arabic one? They were in the Iberian peninsula for 800 years! It’s all in an effort to build walls and keep us separated, because then it's easier to feed us lies aboutthat group over there, for reasons that do nothing but serve the ones at the top. Music is made to break those walls; art is made to connect with the human condition, no matter what it looks like. That’s why it’s important to look at the history of this stuff, to see the deliberate walls they raise and the way that music keeps finding ways to go over and around them. If we know the history, we can build on a foundation instead of reinventing the wheel. With our music we can build our society - a society of inclusion, connection, empathy and shared growth. In American music everyone in the world can hear the echoes of themselves. And Americana? Well, the genre itself is a flawed (and I say flawed because I believe every genre partition is flawed by its very nature) yet very earnest attempt to walk the fine line of acknowledging that you have to exist in a capitalist market yet try to maintain the integrity at the heart of the music. Americana, to me, is songs about regular folks, by regular folks, written to tell a story, not to sell a lifestyle. Sounds that come from strings, emotion and history, not canned digital song structures and cynicism. Music that survives in spite of the music industry, not because of it. Music that crosses boundaries, not cowers within them. Music that has a ancestry of vast time, space, and motion. Music born of the edge. I’ve already been impressed with the diversity Americana UK has; I didn’t even touch on your own creole synthesis - how the music of the UK has changed and grown with the people who have come here, from many years ago to today, and that I hope will keep growing. Because as we’ve seen, the more the family tree branches the stronger the roots become. 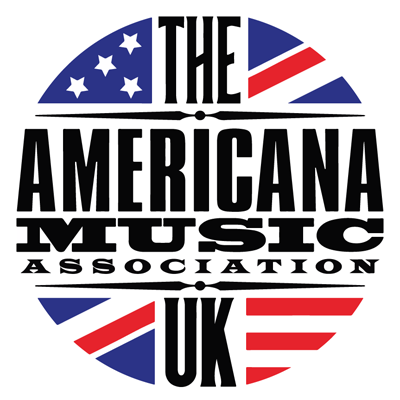 Americana UK is uniquely positioned to help keep building bridges of musical explorations and understanding across cultures, across traditions, and across the Atlantic....of course, we all know there is an elephant in the room. Nobody quite knows what’s gonna happen in a few weeks but- I do know this. Whatever it is, we will find a way around it. And so I think about the plans I can now make in Ireland; the gigs I will play; the music I will learn, and teach; the stories I want to tell; and a memory that I have, that I hope may be repeated many times, of sitting in front of the fire and listening to my daughter play the tin whistle - but the tune she is playing is an old black square dance tune that I didn’t even know she knew. I would like to leave you with this poem I wrote while I was thinking about my own journey as an immigrant, the experiences of all of those people who are on the move around us, the ebb and flow of the music and traditions that shape our identities, and the categories and genres that we use to explore what we have in common and what keeps us apart. I wrote poetry before I ever wrote song lyrics, and occasionally one raises its hand and wants to be written. it’s all or none of us. Cockrell, Dale. Demons of Disorder: Early Blackface Minstrels and Their World. Cambridge: Cambridge University Press, 1997. Epstein, Dena. Sinful Tunes and Spirituals: Black Folk Music to the Civil War. Urbana: University of Illinois Press, 1977, 2003. Jamison, Phil. Hoedowns, Reels, and Frolics: Roots and Branches of Southern Appalachian Dance. Urbana: University of Illinois Press, 2015. Smith, Christopher J. The Creolization of American Culture: William Sidney Mount and the Roots of Blackface Minstrelsy. Urbana, Chicago and Springfield: University of Illinois Press, 2013.
van der Merwe, Peter. The Origins of the Popular Style: The Antecedents of Twentieth- Century Popular Music. Oxford: Clarenden Press, 1989.